The annual migration of boats back north from Florida has begun. There will be a steady stream going north in the Intercoastal Waterway for the month of March. Many of them stop overnight here in the St James Marina. 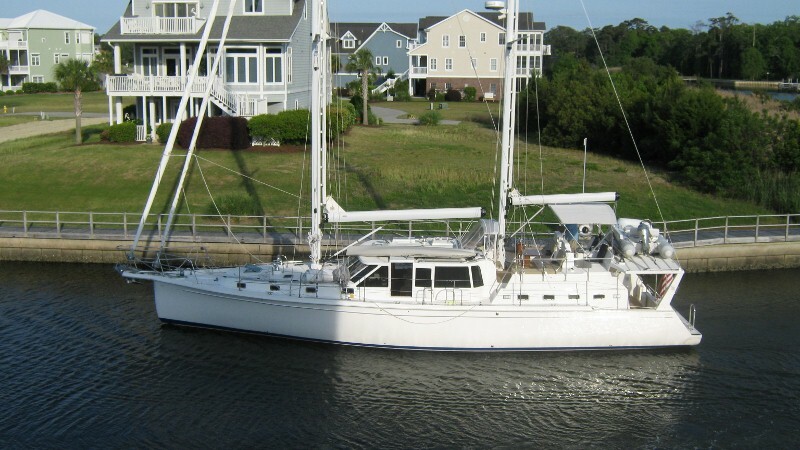 This sailboat is one of the biggest.